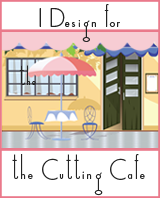 Welcome to some Cutting Cafe Inspiration! This time around it's Designers Choice-Christmas! Well, of courses I threw in a cuppa! Did you know that The Cutting Cafe has a whole bunch of Coffee Themed files? You can find some of them right here including one of my faves, this Coffee Cup Shaped Card 2! 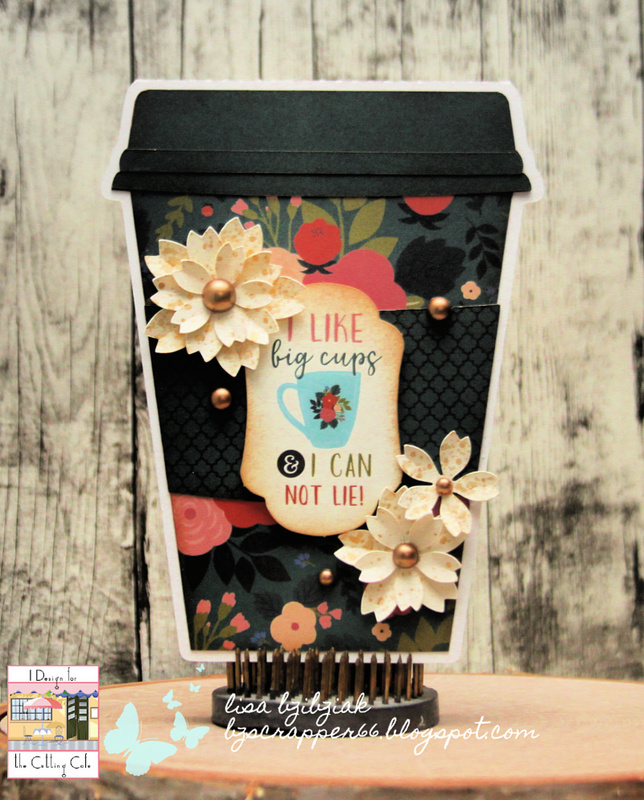 It contains all of the pieces you need to put together a fun To Go Cup shaped card. 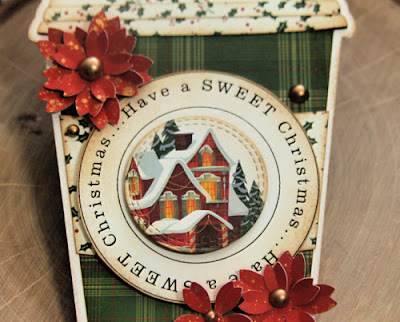 I used some Photo Play Mad 4 Plaid Christmas papers for this one. 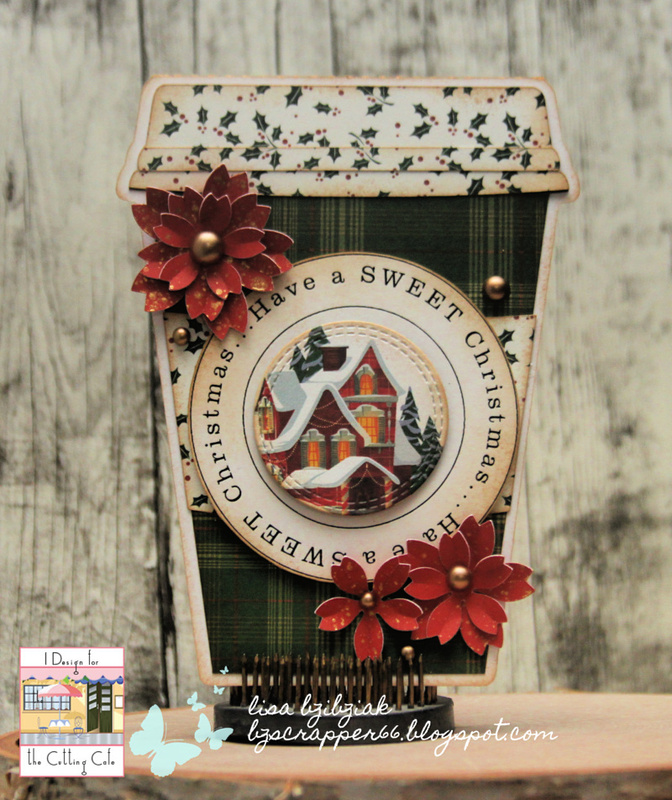 Then I added that pretty Sentiment that I printed from the printable stamp set. I diecut the beautiful scene inside the circle from the paper pad. Then I embellished with some of those pretty handmade flowers that I made a couple weeks go to go in the pretty Embellishment Gift Boxes. 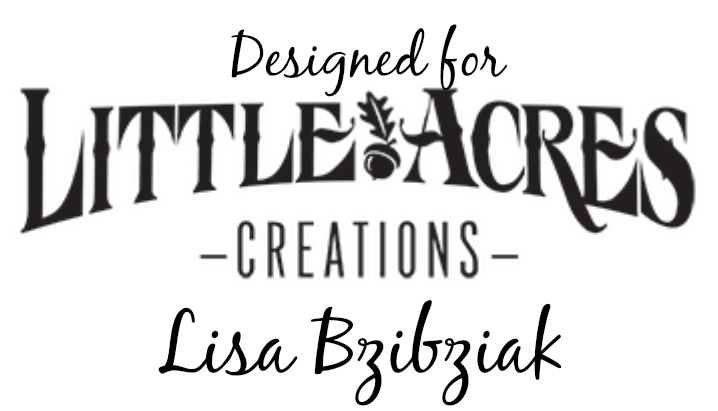 You can check those out here if you'd like! My second card was lucky to get dressed up with the Echo Park Coffee papers! You can get those right in the Cutting Cafe Shop here! For the sentiment I used one of the die cut pieces from the Ephemera Pack that goes with the paper pad. I added a few of the white flowers to this one. 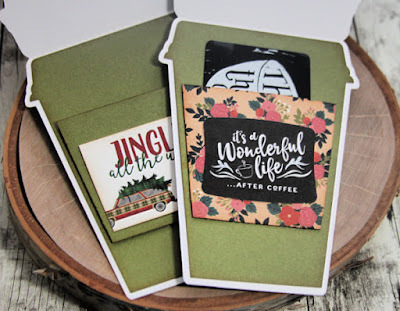 What's really cool about this Coffee Cup cutting file, is it includes a little pocket for the inside of the card so that you can slide a gift card right into it... you can use it or not! 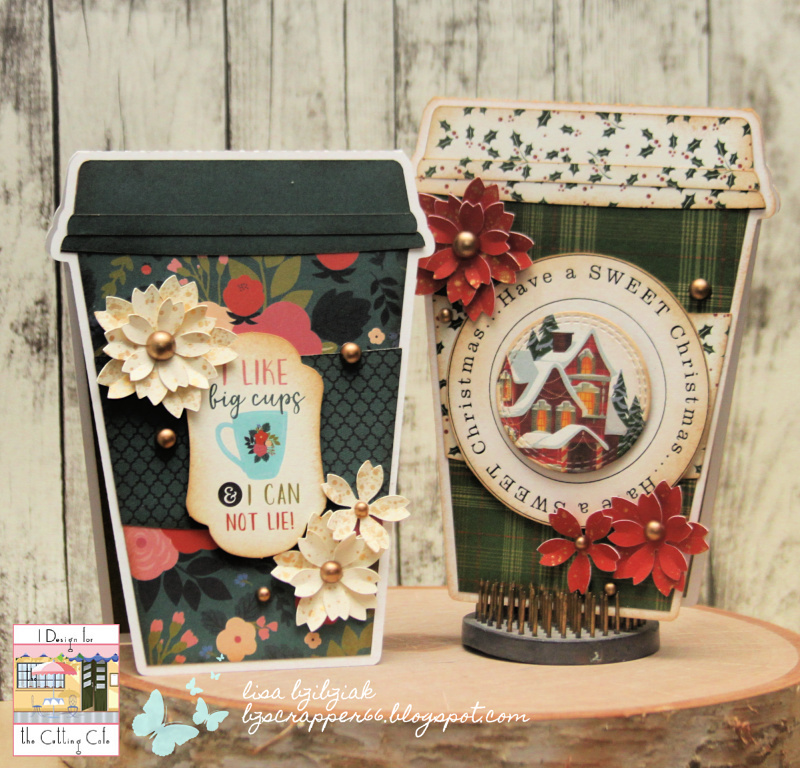 Be sure to pop by the Cutting Cafe Blog on the 7th and comment there before you hop around and see what everyone else has made for Christmas! You could win three files of your choice from the shop! 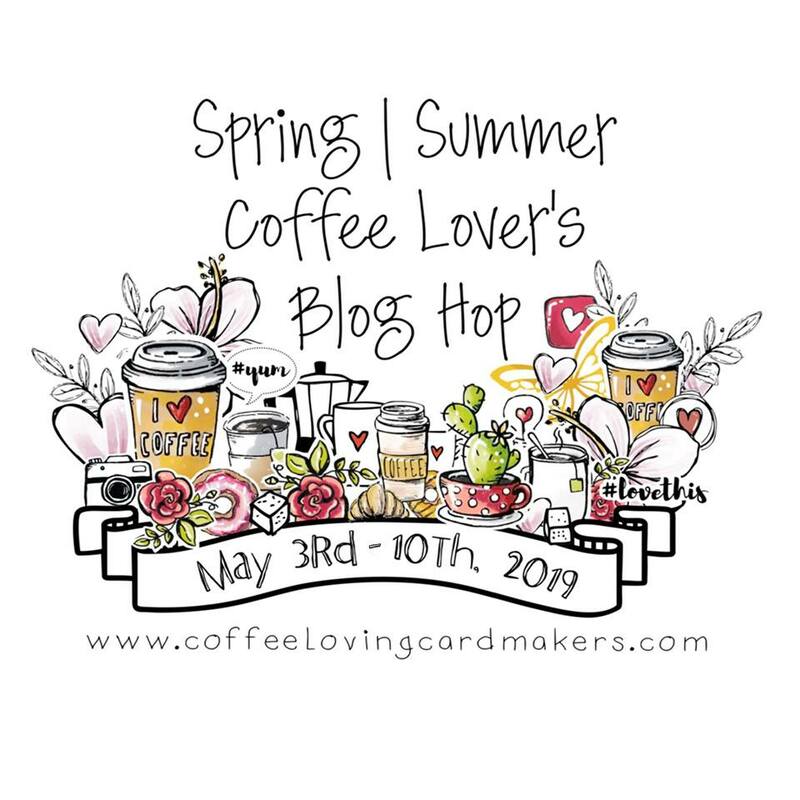 Did you know that the Cutting Cafe is Sponsoring the Fall/Winter 2018 Coffee Lovers Blog Hop?? 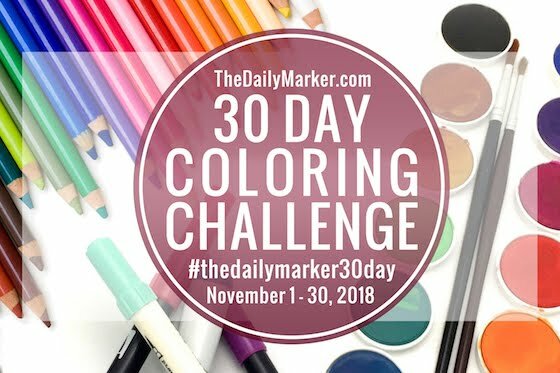 Just create a new project with a theme of Fall or Winter that includes coffee, tea, or cocoa and link it up for a chance to win one of many wonderful prizes! I'm linking my Christmas card up over there! 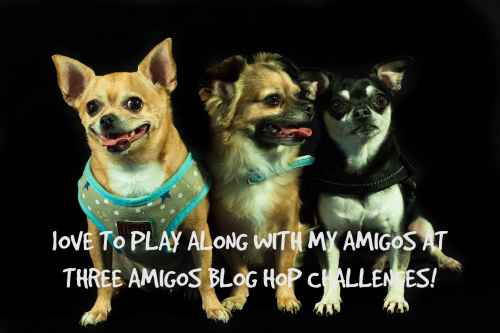 You should play along! 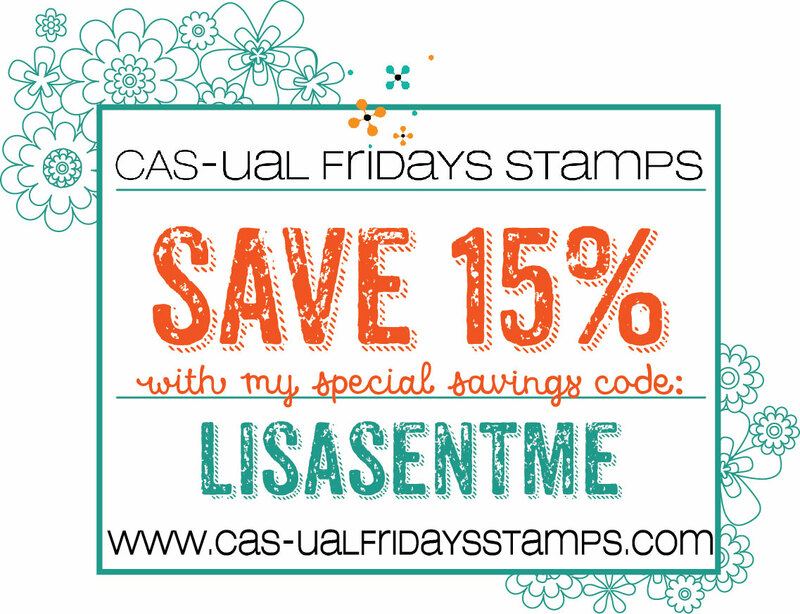 You have until Friday at 11:55 pm Pacific time! Be there or be square! WOW! Just amazing cards. 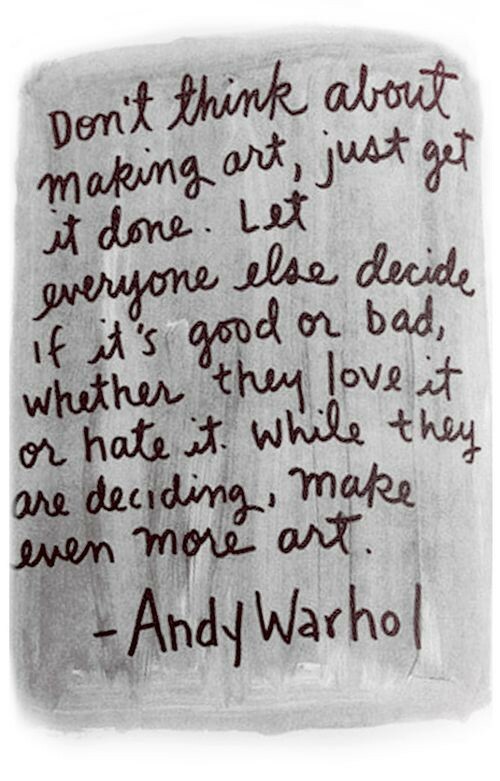 I'm inspired by your creations ALL the time. You are very talented and creative. Thank you for the inspiration! Happy Holidays! Ooh, WOW! Awesome Shaped Coffee Gift cards! They are so pretty!!! I love your coffee cup shaped cards. The designs on them are just awesome and so very beautiful! These are FABULOUS! 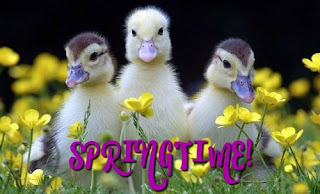 I love love love them!!!! WOW! I'm a shaker for shaped cards...these are perfect. You won a FLASH Prize last night! Winnie & Walter! Oh Wow! These are the most fabulous coffee shaped cards I've ever seen! Love the colors and all the wonderful details!! Absolutely Gorgeous! These are so pretty!! I love the vintage vibe of the 'have a sweet Christmas' cup. Hey Lisa! Well I should have come here, first and not embarrass myself by thinking you colored these LOL..it's ok! I ADORE both of these shape cards!! I need to do more of them, too!! I love them both, but the one one the right, with the glowing windows warms my heart!! Wonderful coffee cup shaped cards, love the insides too! 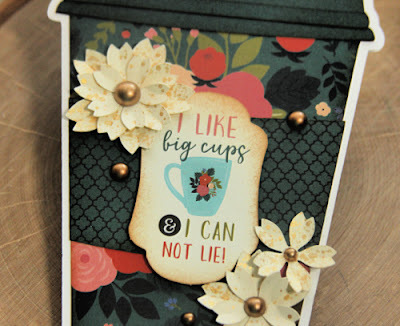 Beautiful cup cards. Stunning work and color. I love everything about your cards. Congrats on your win of the flash prize. Both your cards are really gorgeous! 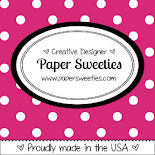 Beautiful paettern papers!!! Wow, these took my breath away, so gorgeous! Fabulous coffee cups, Lisa. Very creative. Casual Fridays - Happy New Year! 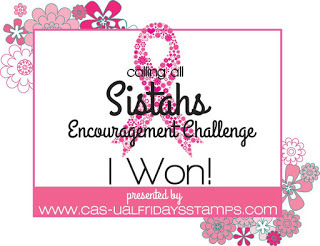 CAS-ual Fridays Friday Challenge Farewell! Cas-ual Fridays-We Wish You A Merry Christmas! 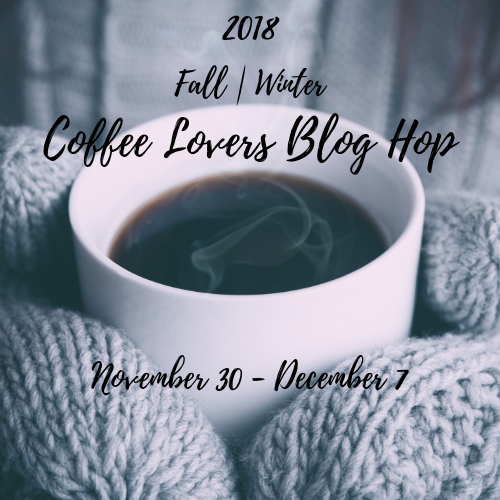 Fall/Winter 2018 Coffee Lovers Blog Hop Day 3!